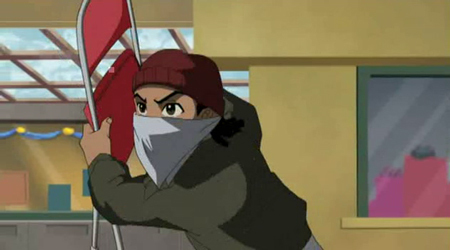 Starting as a small comic strip in the University of Maryland’s college newspaper, The Diamondback, The Boondocks was Aaron McGruder’s way of satirizing American culture through the eyes of two young black kids: The militant left-wing Huey and his more street influenced brother, Riley. Regardless of what medium, both comic and cartoon, McGruder can’t seem to get himself out of trouble. Whether it was the constant attacks on George Lucas after watching Star Wars Episode I: The Phantom Menace, or McGruder’s shots at B.E.T. for basically being the worst television channel on earth, McGruder seems to not care about what anyone thinks, and that’s what’s so fantastic about the show. Not only does McGruder not mind taking shots at targets that could possibly hurt them, he also doesn’t mind taking shots at the people who could be construed as his fans. 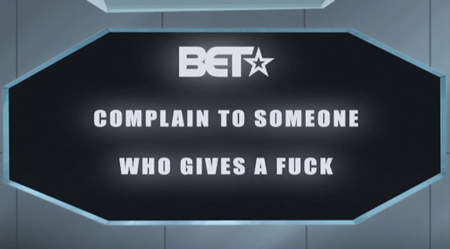 The Boondocks seems to take on a lot of issues that could only be tackled by a show like this. Being able to talk about things like what it would be like if Martin Luthor King, Jr. were still alive or what happens when a family from New Orleans overstay their welcome- even if they are being displaced from their home due to the hurricane- is a luxury, but it’s not as if McGruder does it purely for the shock. Instead, it’s able to tell a story within a context more of America wouldn’t have the chance to, or at least wouldn’t dare to attempt. Though it’s been on hiatus for some time now, McGruder has said The Boondocks will be returning for a fourth season. So, this special basically boils down to three different stories. You have Huey, who is a pessimist/realist who doesn’t care about the holiday at all. Then, you have Riley, who still believes, but feels he hasn’t gotten what he deserves from Santa, declaring he will “Pay what he owes!” Lastly, you have Jasmine, whose enthusiasm for the season is so high she puts Santa on a religious pedestal. He died for your presents! So after Jasmine has a sermon about the love of the Great Santa, we get into a story about her just trying to go see him at a mall. She’s not the only one there, though, because Riley has his own reason to see Santa, but let’s just say that they aren’t on speaking terms. Their entire story basically consists of Riley’s continued attacks on the mall Santa and Jasmine’s feeble attempts to simply sit on the guy’s lap; goals which clearly conflict as she never gets her wish. 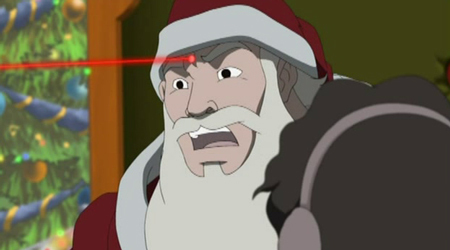 After a couple shots at the fake Santa, Uncle Ruckus steps into the role, which ultimately leads to a disappointed Jasmine and Riley, who no longer believe there even is a Santa. This being an adult cartoon, I thought their stories would end there. A cheerless message about the loss of innocent beliefs. WRONG! 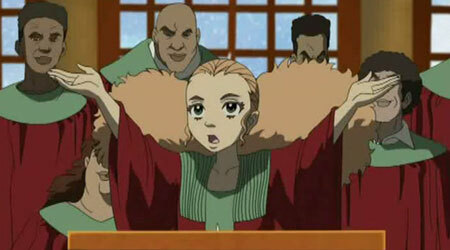 Thanks to (the oddly helpful, for once) Uncle Ruckus’ intervention, both children’s faith is renewed. Jasmine is able to believe again and Riley renews his thirst for vengeance. 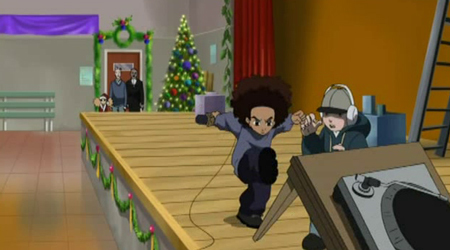 All this acts as a background to the special’s main story, which revolves around Huey and the Christmas play he has been tasked with by his “culturally sensitive” history teacher. Huey doesn’t believe Christmas is worthy of celebration, but then again, he doesn’t really think anything is worthy of celebration. Though hesitant at first, his teacher- the “culturally sensitive” Mr. Uberwitz- believes that Huey’s vision is what the holiday really needs. In an attempt to convince Huey to take over, he signs a contract granting Huey full creative license. Huey soon learns having creative freedom doesn’t mean everyone will actually let you have all that freedom. 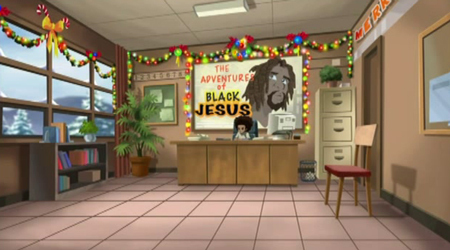 “The Adventures of Black Jesus” is, perhaps, doomed to fail. Firstly, even though he gets Quincy Jones to produce the music for the play, the kids would rather party then get ready for the play. However, unlike Charlie Brown, Huey breaks it up and then fires all the kids. So now, Huey has a choice to make. He can make the changes to the play or he can go down with his pride. He decides his vision means more than just to show what he was “supposed” to do, so he quits. Meanwhile, back with Riley for a moment…. McGruder wasn’t content to leave this special with simply restoring Jasmine and Riley’s faith in Santa, he wanted Huey to witness a little miracle too. Mr. Uberwitz, who doesn’t want to stifle Huey’s vision, runs the play uncensored, and it’s a hit… critically. 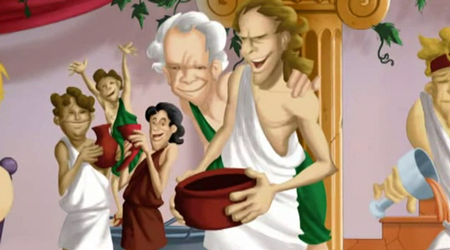 Unfortunately, because Huey fired all of the kids, the PTA decided to boycott the play, making Uberwitz, the Principal, the newspaper media, and Huey’s friends and family the only members to watch his masterpiece. Huey doesn’t seem to mind, however. His vision has been saved. It’s a Christmas miracle. Jesus plays a small, but significant roll in this special. I mean, the main focus of Huey’s play and the conflict in his story is Black Jesus. Sure, the Santas we see in this special are all fakes but Riley and Jasmine end the episode believing the real one is out there somewhere. 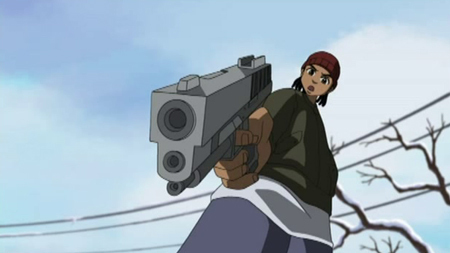 Look, I can’t recommend the Boondocks enough, and this special isn’t an exception. The writing is very witty and smart, but also extremely sincere. 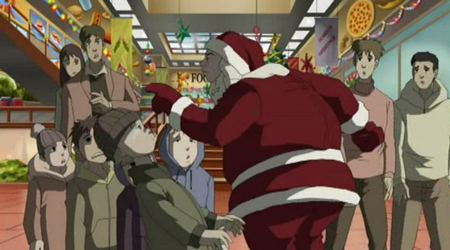 It may not be the most wholesome Christmas special, but it’s got a great moral. Never sacrifice your integrity and never stop believing. There’s more than just “Christmas spirit” here, there’s optimism and real life lessons. 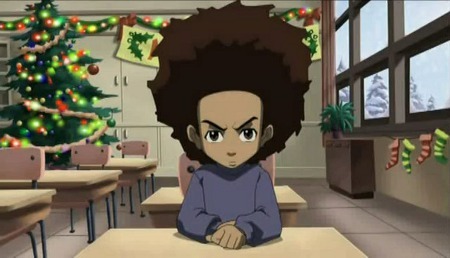 You can grab all three seasons of The Boondocks on Amazon, or you can check out the First Season on its own. 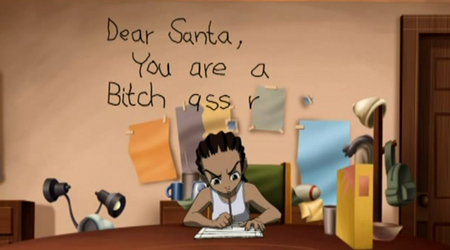 A Huey Freeman Christmas is episode 8 of season one. 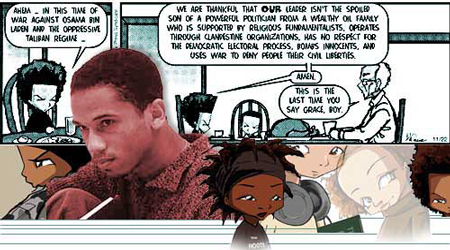 I also highly recommend the first comic strip collection of The Boondocks, A Right to Be Hostile: The Boondocks Treasury. 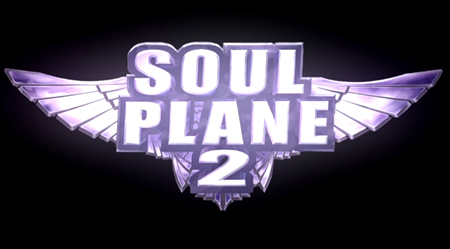 das a good show man.